Call us at 619-583-1000 today. welcoming environment for your whole family. For over 40 years, our practice continues to serve the eye care needs of local San Diego families. The health of your eyes is very important, which is why we recommend yearly wellness checks. Dr. Rosina Cullins (previously Dr. Rosina Monaco) tests for eye diseases at every exam, such as macular degeneration, cataracts, and glaucoma. Glaucoma is a silent eye disease that does not affect eyesight at the onset, so those with "perfect vision" should still have annual exams to be screened. Dr. Cullins administers a thorough contact lens evaluation to ensure that you are wearing the contact that work best for you. She fits contacts of all types, including extended wear, bifocals and for astigmatism. We strive to provide you with the highest quality of prescription eye wear. We use the highest quality lenses and lens options. Ask us about digital lenses for the sharpest vision in progressives! You'll have over 600 frames to choose from, varying in styles, colors, brands and sizes to help find the perfect one for you. In addition to the ophthalmic glasses for men, women and children, a wide selection of sunglasses are available. We want you to see your best and look your best! VISIT OUR NEWLY REMODELED OFFICE! (top) Before the remodel. (bottom) We remodeled in June 2015. Generally, last appointment of the day on Mondays is 5:15pm. We enjoy the weekends which is why we're so friendly! 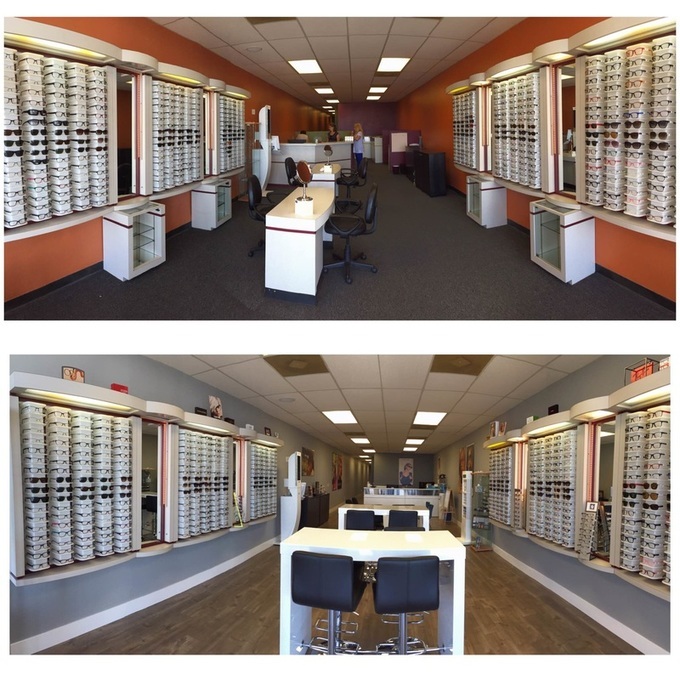 At Allied Gardens Family Optometry, we are dedicated to providing high-quality optometry services in a comfortable environment. Call us at 619-583-1000 or schedule an appointment today online. "I've been going to Dr. Cullin's for several years. She is extremely patient and gentle. Her staff is awesome. I highly recommend them for eye care."